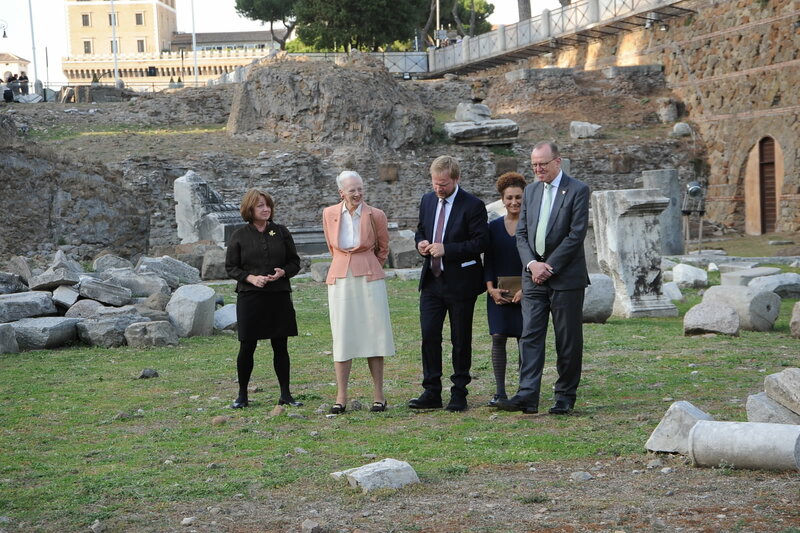 Last spring, Danish archaeologists paved the way for participating in an important and prestigious international collaboration, which was launched Thursday in a royal manner. 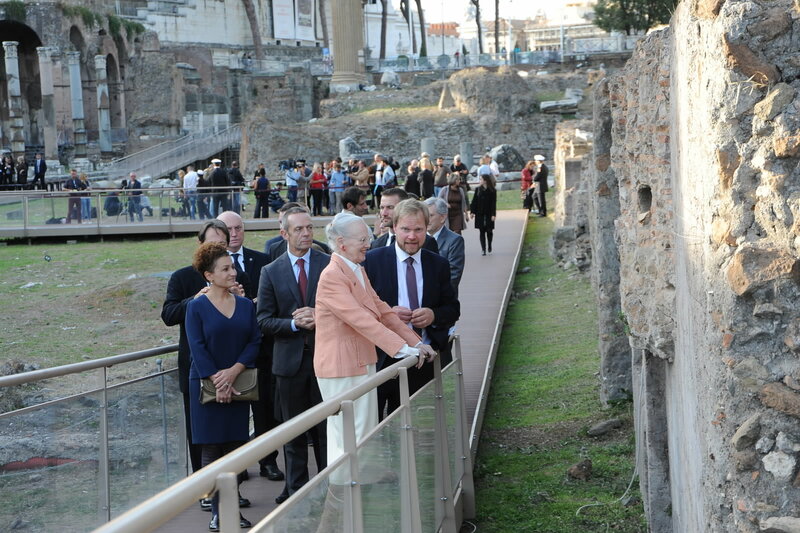 This, because Her Majesty, Queen Margrethe II, took part of the opening of upcoming archaeological excavations on the antique Forum of Caesar in Rome, where UrbNet head of center, Professor Rubina Raja, showed off the excavation site and told about the plans for the collaboration. The excavation in Rome is one of the most prestigious that Danish archeologists have ever taken part of, and the Danish funding is financed by the Carlsberg Foundation. The event is therefore both historical, and the future findings will have a historical impact. Read about the Carlsberg Foundation’s news story here and the DNRF news story about the excavation project here.